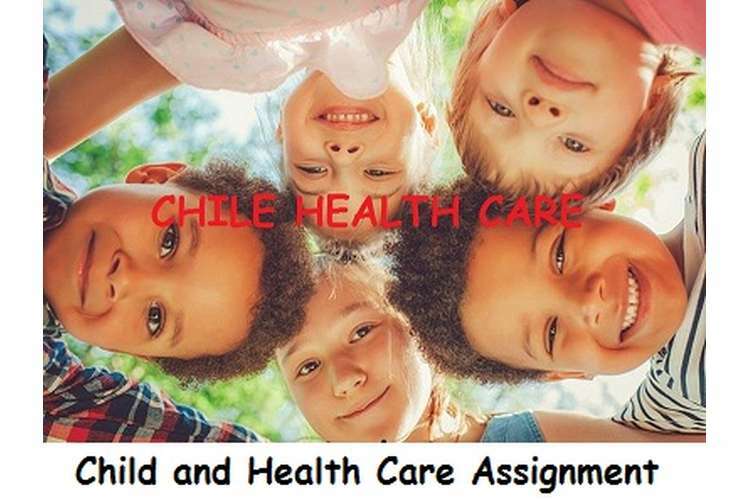 This Child and Health Care Assignment discuss the factor and cooncepts of child health and develpoment. 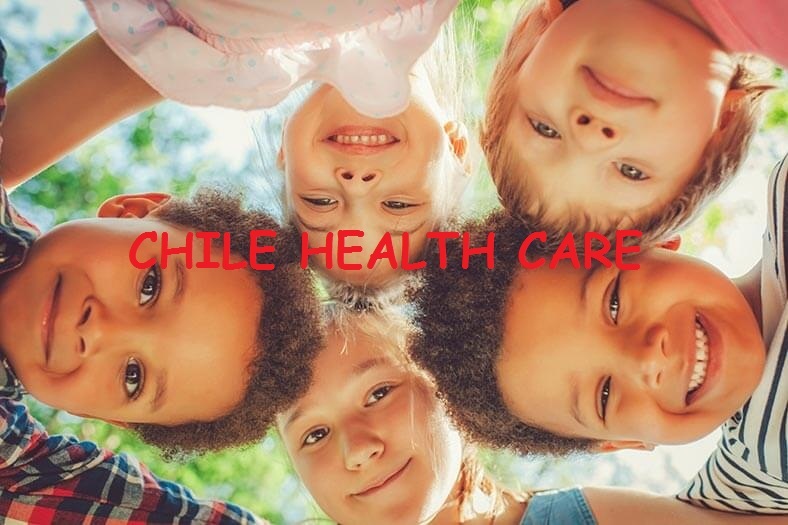 Child health care and treatment is concerned with the needs and activities of children to predict the medical requirements and provide the support to improve the health according to age and interest. By using the observation and feedback that has been collected from various activities the care worker determine the activities for managing the health care process and activities that requires to be used for encouraging the health of the child. The report will undertake the various activities for different age group children to holistic development and wellbeing of the child in early childhood based on the information sheet. Moreover, the report will observe the specific areas of development by focusing on child and link to early learning framework outcomes and sub-elements as well as develop plan for meeting the goals of future health care. In the next part report will develop the summary which will include the areas of interest, skill and learning outcomes considering the internal and external environment. Furthermore the report will provide the make the plan for implementing and evaluating the experience. At the end, report will provide the reflection of the small group experience according to given case information and observe the skills. For the development of plan and activities that would be beneficial for child, analysis of physical activities and requirements is essential. In order to gain the information about the physical activities the report will focus on social, emotional, language and creative aspect of the child using the principles as well as develop the plan for improvement. According to observation, it is been identified that Jeny can perform the physical activities like kick the ball, jump, reorganization of picture, write her name as well good coordination and control over the body movement. Now, considering the social and emotional theory of the development future goals for the child has been sated which will include memorize name, telephone number of parents, birthday and address. In addition to this, by using the principle of sense of belonging the learning outcome of secure and supportive nature going to be achieved. The sub-elements of physical development are interaction level, routine and participation in events. Use of her ideas, provide the understanding about the activities to strengthen her body, gain the knowledge about the world. Anecdotal observation: According to analysis of activities and nature of Jeny, it is been identified that she is physically fit according to the standard of 4 years old child. For further improvement, parents have to make efforts on gaming activities and increase the interaction with the other children which will help to improve the level of self security as well control on the movements. Moreover, analysis of development suggest that internal and external environment plays critical role in physical development of child as well increase the level of interaction with other people which will give the understanding about the outer world (Bower, 2008). Interpretation: By considering the experience of analysis and observation of child, it is been suggested that patents have to make efforts for better communication by providing the knowledge through freedom in external environment. Jeny is quite intelligent and reserve nature 4 years old girl that has been interested in external environmental activities that involve playing with other children, walking in park and listen to people. Moreover, according to observation Jeny is having quick reaction as per the instruction and respond to the activities of other. As per the observation, the physical activities the focus will be on social, emotional, language and creative aspect of the child using the principles as well as develop the plan for improvement. According to observation, it is been identified that Jeny can perform the physical activities like kick the ball, jump and reorganization of picture. Reflection 1: By undertaking the study and observation of child the main objectives is to gain the knowledge about the physical, mental and emotional development of child at early stage. For that purpose, I have developed the questioner for the parents to collect the information about the child and activities that he/she like to perform. By using the information and observing the child I have gained the knowledge about the impact of internal and external environment on the early development stage of Jeny considering the timing, resources and learning outcomes. In addition to this, I have proposed the parents to make efforts on gaming activities and increase the interaction with the other children which will help to improve the level of self security as well control on the movements. This has positive impact on the development activities of child and achievement of personal goals of study. Moreover, analysis of development suggest that internal and external environment plays critical role in physical development of child as well increase the level of interaction with other people which will give the understanding about the outer world. Future planning: According to observation it is been recommended that future planning of developing the health of Jeny will include the principle of sense of belonging the learning outcome of secure and supportive nature going to be achieved. The sub-elements of physical development are interaction level, routine and participation in events (Baker.et.al, 2005). Additionally, use of her ideas, provide the understanding about the activities to strengthen her body, gain the knowledge about the world. The aim of observation is to understand the physical, social and emotional state of child who is between the ages of 2 to 6 year. Using the different aspects of dealing with the children I have gained the knowledge about the activities and needs of the children. For major observation I have focused on the needs and performance of Jeny and collected the information from her parents to determine the health care process for future development. By using the information and observing the child I have gained the knowledge about the impact of internal and external environment on the early development stage of Jeny considering the timing, resources and learning outcomes. In addition to this, I have proposed the parents to make efforts on gaming activities and increase the interaction with the other children which will help to improve the level of self security as well control on the movements. The goal is to make a responsible citizen with good education and manners. The information received from the parents is that a child gives a kind of indication like started crying when a baby has to go for a toilet. Yes the child has a usual sleep routine. He usually has an afternoon sleep too. Ability to communicate their needs/wants. The child is of only 20 months old and therefore, he does not start expressing or communicating his needs and wants. No, the child has not started to make appropriate play choices. The child is from a nuclear family background. The family has four members i.e. the child itself, his elder brother and mother and father. The culture adopted by this family is orthodox. After observing and analyzing the information received from the parents and guardians is that the child is more interested and feels happy when the child is taken to the parks. The future goals for a child would be that he should be able to know his full name, house address, and important contact numbers. The future experience and resources for a child would be that he should be calm, responsible and a loving person. He should develop his own interest and identity and should have a proper understanding of the surrounding world. The development and growth of the child would be nourished and they feel safe and happy. It is observed that a focus child named Tony Douglas becomes more excited when he generally looks the new toys. He feels very happy when his father or mother takes him on their shoulder. He loves playing with a toy car. He holds the small toys with his both the hands. He also feels happy when he is taken for a park or outside the house. The interpretation or analysis of development observed he that the child started trying standing on his feet’s by taking any support. He also crawls and tries to sit himself. The family background of a focus child named Tony Douglas is living in a nuclear family and the culture being followed is orthodox. According to the parents and guardians and observation it is found that the child is more interested and feels happy while visiting outside like in parks. The child is now crawling and started trying to sit and stand by taking a support. The parents teach the child about the good habits and behaviour. It is observed that the child is using some words like ma and pa for communicating with his mother and father and also gives some indications when he is feeling hungry or wanted to go for a toilet. Since the child is of only 20 months old and therefore no such cognitive development is been noticed. For better development of a child, the parents should not neglect the small and basic things that a child tries to do (Ozer, 1995). They should take proper care and should be more concerned for the child and should promote for good things and stop for the bad habits. The parents must go for trainings were they taught the activities and lessons about the child development. They should prefer the books and journals which provides material and knowledge about the child development. Through the observation it is observed and experienced that the focus child belongs to the age group of 0-24 months and the child is fully depended on their parents. Hence, the parents are required to take participate and engage in the activities for proper development of their child. The parents should be encouraged and given the direction to access children’s learning and development (Baker.et.al, 2005). The child Tony Douglas is of 20 months old and he is fully depended on his parents. Mr and Mrs Douglas are required to take coaching, role modelling, ask questions to the experts, demonstrate and should use one to one interactions for accessing children’s proper learning and development. The experience meets the goal and outcome. It was appropriate in building and developing child development. The child responds to such experience positively. The child behaves in a manner full way and the wrong acts or bad habits were easily removed by teaching them good habits. Such habits form a basic root for developing a good, responsible and loving individual for future. The parents for this should take initiatives for proper growth and development physically and emotionally of their child. The experience received after the observation, will be used further in developing the goals and future teaching strategies (Gustafsson, 1994). The experience will be varying depending on the work on a new skill or interest. The children’s ideas and interest would be mould and extend by giving their extra care and guidance from their parents. They can be taught the difference between the good and bad habits. For this proper training and expert guidance can be provided to the parents for encouraging proper child development (Vincent and Ball, 2006). The interaction with the child should be made with this age group should be very careful and a proper awareness of safety issues is required because children of this age group quickly prone to diseases. To improve the skills, my professional goals would be conducting the observation in a wider scope. Through this I would get information and an appropriate result can be obtained by analysing the facts. The reaction of the children to any particular and familiar music, rhymes, puppet story, song or a movement games. Such activities are interesting and also promote the overall physical development of the children. The resources needed for implementing the experience plan are introductory activities, simple props, music, movement or dance experience, consideration of age and skills of the children, etc. Required no such transition strategy because the children are of age group of 0-24 months only. The experience plan helped in proper physical development of the children. They react appropriately to the music and move their body parts according to the guidance provided. The strategy and planning used in this experience plan was appropriate enough. The proper concern was made on the safety issues, supervision and the tone of voice while guiding and caring the children. Each children were acknowledge and their interest also. The children whose growth is slow down due to any disability are required to have an additional care and support. The favourite things as per the observation and feedback of the parents are playing musical instruments and dancing. The goal of the family is to make their child an all rounder and a responsible citizen. Learns and play games with the family and younger sister. It is observed that the child is use to self dress up, toilet, wash hands and pour own drink. Yes the child has a usual sleep routine. The child himself communicates his needs and wants easily to the parents. Has an ability to make appropriate play choices and also follows the direction guided by the parents and elders. The child is from a joint family. The family has six members i.e. the child itself, his elder sister, mother, father and grandfather and grandmother. It is observed that a child feels happy and relax when he is with his family members. The child’s main interest is in dancing. The child started moving his hands and legs and shakes his head after listening to the songs or music. The child was engage with the musical instruments. Through this observation, it is observed that the child is very active and has a great interest in dance and music. It is also observed that he likes to play musical instruments and video games. The child has an inbuilt skill of playing various types of musical instruments. Extra additional care and appropriate teaching strategies for their proper development physically, emotionally and mentally. The child is living in a joint family consisting of six members. The culture of this family is orthodox in nature. It is observed that the interest of the child is more in dance and music. He loves to play musical instruments. He also likes video games. The physical development of the child is good. He walks runs and moves his body parts well. The shares a good knowledge about the good habits. He is taught about the manners, respect and discipline. The child communicates to his parents and other through their regional language. The child has developed an ability to think in concrete ways such as to combine, separate, order and transform the objects. According to the development summary, the child’s interest on dance and music would be the area to work on to extend the focus child’s development and learning. The learning outcome would be to achieve the child’s speciality in the dance and music field. The goal in order to support the learning outcome would be to make a child more trained and experienced in his interest area. The use of experts, dance classes, music classes, etc can be used for achieving the fuller growth in the interest area of the child. The resources required will be props, musical instruments, experts and teachers. The setup of interest area is done in order to enhance the interest area of the children and the proper development and learning of their skills and interest. The five additional experiences would be proper guidance of the experts; self learning, proper and regular classes to improve and enhance the skill and interests and use of web lessons. These all would help in extending, challenging and reinforce the interest of the children. Today I planned for the activity in order to enhance the skills and interest of the children who comes in the age group of 0 to 6 years. The collaboration of self learning, internet, expert guidance and art centres had a strong impact in enhancing and increasing the skills and interest area of the children. This helps in encouraging the children and boosting their interest by making them perfect in the identified interest area. Use of self learning, expert advices and guidance and training would help in enhancing the interest area of the children. The strategy and resources would be use of internet lessons and regular classes will be best in boosting the interest and use of musical instruments and moral stories for encouraging the children. The children started taking more interest and enjoy learning more in their interest area in order to enhance them to the maximum level. From the long weekly planning interest based experience plan it is observed that the music and dance skills identified is much more extended and reinforce. The talent and interest is more boosted. The children are also enjoying and loving the activities involved for boosting their interest area. From the above study, it is been considered that child health care is essential for determining the health and development of the child. Report has evaluated three different cases which involve different age groups. Report has provided the information about the activities and process of children and explained the future needs and goals to meet the objectives more professional manners. Moreover, report has discussed about the learning outcomes through observing the children. Report has developed the portfolios for managing the outcome to achieve the future goals and influence the development of children. Baker, M., Gruber, J. and Milligan, K., 2005. Universal childcare, maternal labor supply, and family well-being (No. w11832). National Bureau of Economic Research. Bower, J.K., Hales, D.P., Tate, D.F., Rubin, D.A., Benjamin, S.E. and Ward, D.S., 2008. The childcare environment and children’s physical activity. American journal of preventive medicine, 34(1), pp.23-29. Gustafsson, S., 1994. Childcare and types of welfare states. SAGE MODERN POLITICS SERIES, 35, pp.45-45. Ozer, E.M., 1995. The impact of childcare responsibility and self?efficacy on the psychological health of professional working mothers. Psychology of Women Quarterly, 19(3), pp.315-335. Vincent, C. and Ball, S.J., 2006. Childcare, choice and class practices: Middle class parents and their children. Routledge.